First, login to your Burbio account on a device that you want to sync to. If the calendar you are syncing to is on the cloud (i.e. Google calendar or iCoud) you can sync from any device that a access to the cloud. Then click on “My Calendar” on the top navigation bar to open your calendar menu. To the right of each personal calendar there is a "sync" option. 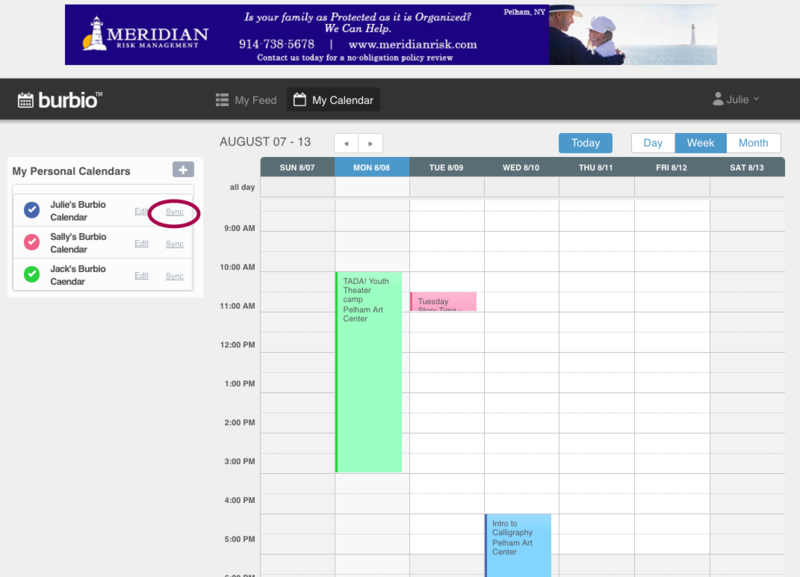 Click on it and a pop-up window will appear, prompting you to sync to either your Google or iOS calendar. Select the one you desire and follow the prompts. Note, only the personal calendar associated with the sync button you selected will be synced, you must perform this process for each personal Burbio calendar you wish to be synced.